Order the Scale of Justice for your office today! It's a distinct and authoritative lawyer's decoration and a fine statue to place in your office. For a judge, lawyer or attorney. The Scale of Justice has been the symbol of equality for ages. It is the guiding principle in our system of law. It represents fairness and balance in the legal system and judgment. The Justice Scale is a symbol everyone will respect. Our scale of justice symbolizes equality in the law. It is an excellent gift for any lawyer or law firm. The scale of justice decoration is made of real bronzed brass. It is simple yet elegant and authoritative. The Scale of Justice decoration will add a perfect accent to your law firm office, courtroom or attorney office. The lawyers Scale of Justice is also a wonderful gift for a new law school grad or attorney opening up their own practice. Lawyers, this legal sculpture is a fine and well made collectible. 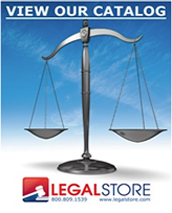 The Scale of Justice is one of our best selling law firm decorations. Perfect for clients and your own office. Place the Scale of Justice in your waiting room or your own office. H:16" W: 13.5" D: 4.25"
NOTE: This item may incur a 20% restocking fee on returns.